While shopping at Hobby Lobby I noticed Equate. 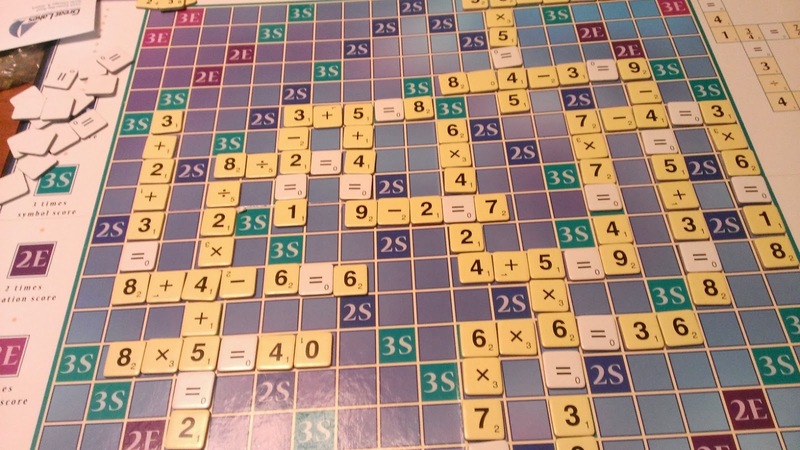 A math game designed to make math fun. Isa is having a little trouble in math this year. I thought Equate would be fun and help her at the same time! We really had FUN! 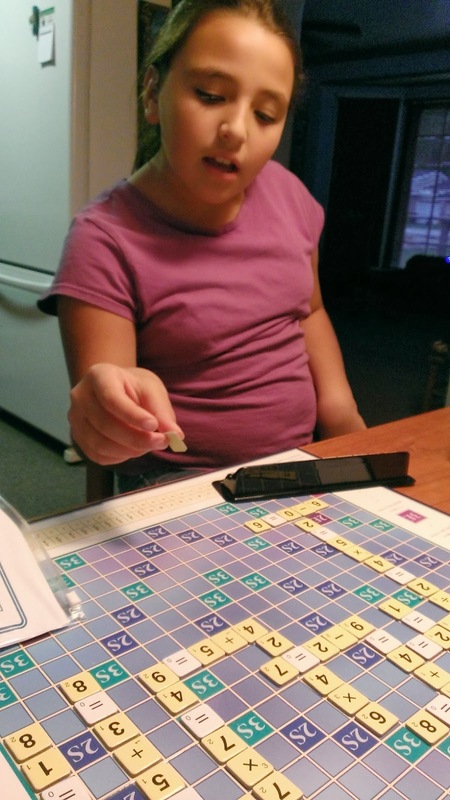 We both put our thinking caps on and played a fun game. 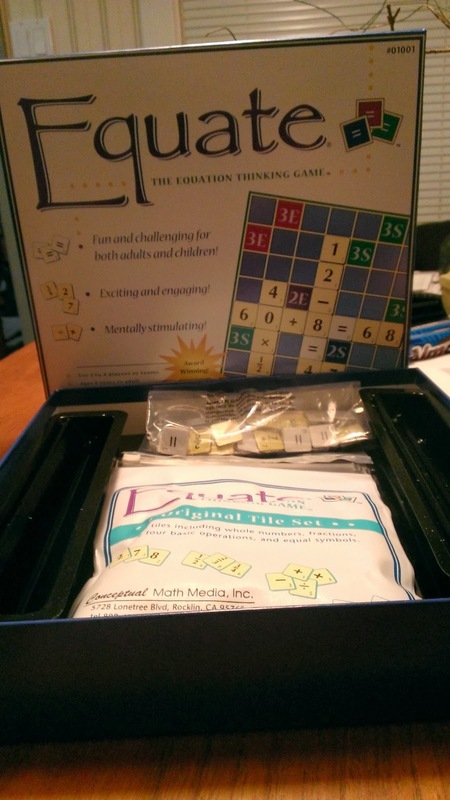 Equate also comes with fractions...which we will be playing when she starts to learn about fractions in class. I wanted to share with everyone Equate...VERY FUN and I am positive that playing will help Isa with her Math. 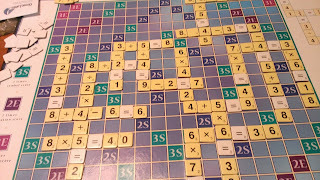 Equate is just like Scrabble only it is math! 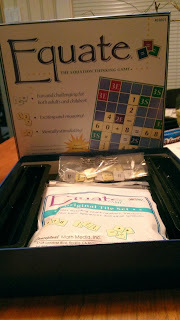 Fun for adults and children! Even Papa as he was walking through the kitchen stopped to check it out.